We start with fresh tasting tomato sauce and add a flavorful combination of olive oil, onion, basil, and garlic. When you want to impress family and friends with an authentic Italian dish this is where you begin. We start with fresh tasting tomato sauce and add a flavorful combination of olive oil, onion, basil, and garlic. When you want to impress family and friends with an authentic Italian dish this is where you begin. 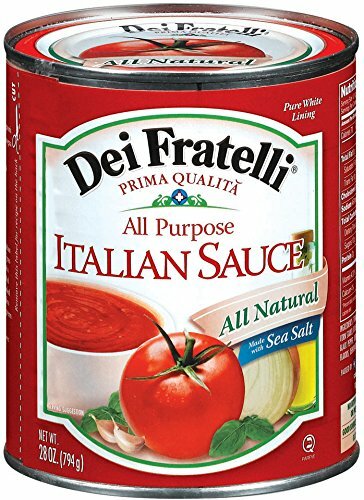 Brand: Tags: Dei	Fratelli	-	Italian	Sauce	-	28oz	-	12	pack	.